For most of us, investing is what makes it possible to achieve our lifetime goals. That is why we want to gather as much expertise on your side as possible. Our process incorporates the research of many great thinkers and economists, including pioneers in behavioral finance and 11 Nobel Laureates. You need an approach that you can believe in and understand, one based on research, analysis and evidence — not luck or prognostication. 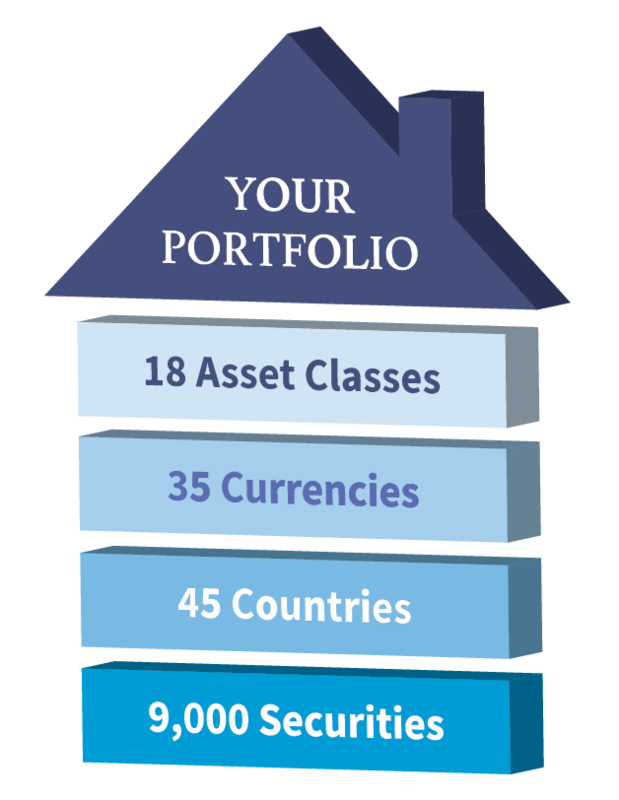 Asset Class Investing are academically based portfolios constructed with the aim of capturing the returns of the global bond and stock markets to help clients reach their long-term goals. When it comes down to it, we think there are two numbers that matter above all else: 1 and 30. You may only have 1 chance to put together an investment plan that will last you 30 or more years in retirement. Because you can’t control the market, you need a plan that gives you the highest probability of being able to achieve your long-term plan and realize your most deeply held goals. We believe the way to do this is by using Asset Class Investing, along with the guidance and experience of a dedicated financial advisor. Asset Class Investing does not guarantee a gain or protect from a loss and involves risks, including the loss of principal. Understand and clarify your life and financial goals—then create a tailored financial plan designed to help make your goals possible. Use academic research and financial science to build an investment portfolio that aims to give you the highest probability of achieving your goals with the least amount of risk. Provide discipline, perspective and guidance to help you stay focused on the long term and on track towards achieving what is most important to you.